Emotion-regulation strategies across psychopathology: A meta-analytic review. Following on from our recent blogs we cite and paraphrase an article (1) from a five years ago which suggests that there are similar issues of emotion dysregulation which are pertinent in a range of disorders including addictive behaviours but slightly and subtly different in their manifestation in each disorder. Thus it is possible to see similarities and most importantly slight differences in these disorders by pinpointing and measuring how the use of similar emotional regulation strategies slightly differs among various disorders. This has consequence in terms of treatment specificity. 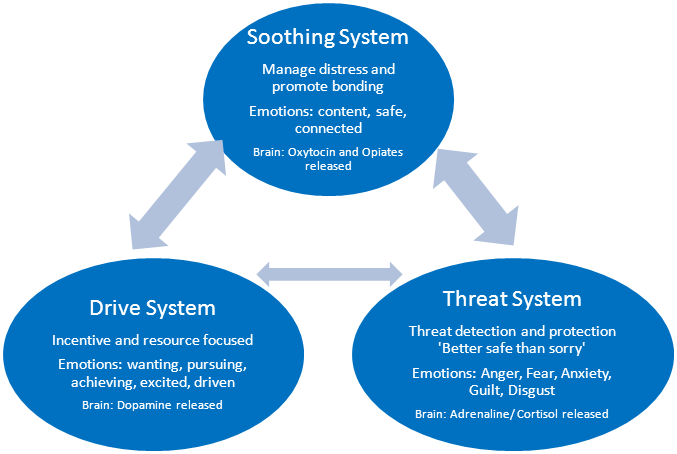 As we will see below there are commonalities in three main main emotion regulation strategies across various disorders which may show as co-morbidity when they are in fact part of the underlying mechanisms of addictive behaviour too. Ultimately, although commonalities exist in emotion dysregulation, treatment needs to specifically treat the maladaptive emotion regulation strategies pertinent to each rather than treating so-called co-morbidity which may be subtly different to the emotion regulation strategies of addictive behaviour, although apparently very similar. For example, a symptom of Major Depression in endless rumination whereas a main manifestation of addictive behaviour is distress-based impulsive behaviour. Obviously treatment would need to be aware of these differences otherwise the consequences may be deleterious with distress usually prompting addicted individuals to act in ways very different to depressed individuals although they have similar emotion dysregulation. 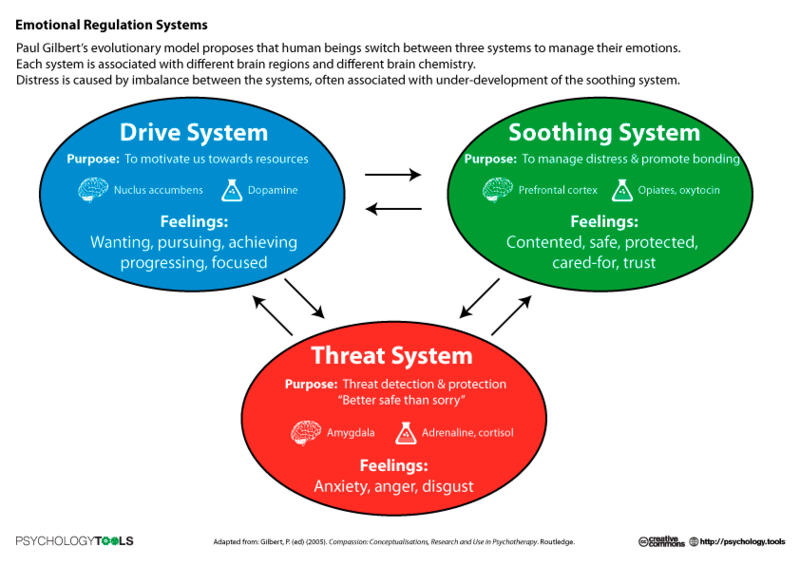 “Emotion regulation is increasingly being incorporated into models of psychopathology (Berenbaum, Raghavan, Le, Vernon, & Gomez, 2003; Greenberg, 2002; Kring & Bachorowski, 1999; Mennin & Farach, 2007). As “distress disorders” (Watson, 2005), depression and anxiety are widely viewed as the result of difficulties in regulating emotions (Campbell-Sills & Barlow, 2007; Gross & Munoz, 1995; Mennin, Holoway, Fresco, Moore, & Heimberg, 2007). Several theorists argue that individuals who cannot effectively manage their emotional responses to everyday events experience longer and more severe periods of distress that may evolve into diagnosable depression or anxiety (e.g., Mennin et al., 2007; Nolen-Hoeksema, Wisco, & Lyubomirsky, 2008). In addition, models of eating disorders (Fairburn et al., 1995; McCarthy, 1990; Polivy & Herman, 1998, 2002) and alcohol abuse (Sher & Grekin, 2007; Tice, Bratslavsky, & Baumeister, 2001) suggest that individuals with poorly regulated emotions often turn to food or alcohol to escape from or down-regulate their emotions, creating risk for diagnosable problems in relation to food or alcohol. …difficulties with emotion regulation are associated with mental disorders (Berenbaum et al., 2003; Greenberg, 2002; Kring & Bachorowski, 1999; Mennin & Farach, 2007) and incorporated into several models of specific psychopathologies, including borderline personality disorder (BPD; Linehan, 1993; Lynch, Trost, Salsman, & Linehan, 2007), major depressive disorder (Nolen-Hoeksema et al., 2008; Rottenberg, Gross, & Gotlib, 2005), bipolar disorder (Johnson, 2005), generalized anxiety disorder (GAD; Mennin et al., 2007), social anxiety disorder (SAD; Kashdan & Breen, 2008), eating disorders (Bydlowski et al., 2005; Clyne & Blampied, 2004; Fairburn et al., 1995; McCarthy, 1990; Polivy & Herman, 2002), alcohol-related disorders (Sher & Grekin, 2007; Tice et al., 2001) and substance-related disorders (Fox, Axelrod, Paliwal, Sleeper, & Sinha, 2007; Linehan et al., 2002; Sher & Grekin, 2007; Tice et al., 2001). Consequently, various therapeutic approaches incorporate some form of emotion regulation training… including dialectical behavioral therapy (Linehan, 1993), emotion focused therapy (Greenberg, 2002), acceptance- and mindfulness-based therapy (Hayes, Strosahl, & Wilson, 1999; Roemer, Orsillo, & Salters-Pedneault, 2008; Segal, Williams, & Teasdale, 2002), and emotion-regulation therapy (Mennin & Fresco, 2009). two strategies thought to be adaptive across a variety of contexts are reappraisal and problem solving. Reappraisal involves generating benign or positive interpretations or perspectives on a stressful situation as a way of reducing distress (Gross, 1998). Problem-solving responses are conscious attempts to change a stressful situation or contain its consequences…Although problem-solving responses are not direct attempts to regulate emotions, they can have beneficial effects on emotions by modifying or eliminating stressors. Low problem-solving orientation or poor problem-solving skills have been theorized to lead to depression (Billings & Moos, 1981; D’Zurilla, Chang, Nottingham, & Faccinni, 1998), anxiety (Chang, Downey, & Salata, 2004; Kant, D’Zurilla & Maydeu-Olivares, 1997), substance use (Cooper et al., 1992), and eating disorders (VanBoven & Espelage, 2006). Training in problem solving skills is a component of cognitive-behavioral therapies for all these disorders (Beck et al., 1979; Fairburn et al., 1995; Marlatt et al., 1988). Hayes et al. (1999) have been concerned with what they call experiential avoidance: the suppression or avoidance of an array of psychological experiences, including thoughts, emotions, sensations, memories, and urges. 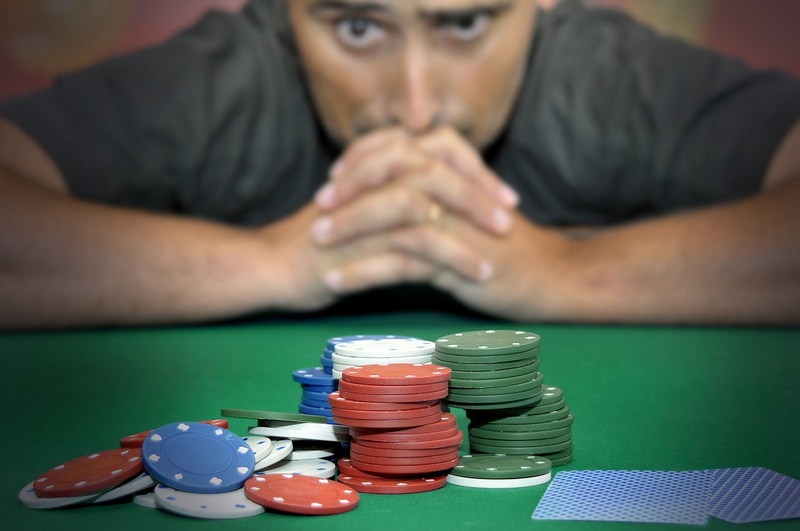 They have argued that experiential avoidance can lead to a variety of negative outcomes, ranging from problems with mood to problems with substance use, because it paradoxically increases negative thoughts (i.e., Wenzlaff & Wegner, 2000) and prevents individuals from taking necessary action (Hayes et al., 2004). Similarly, emotion-regulation models of eating disorders suggest that avoidance of psychological experiences leads to binge eating and then maladaptive compensatory behaviors (e.g., Heatherton & Baumeister, 1991; McCarthy, 1990; Polivy & Herman, 2002). Finally, instead of avoiding or suppressing negative thoughts and moods, some individuals repetitively focus on their experience of the emotion and its causes and consequences (Nolen-Hoeksema et al., 2008; Trapnell & Campbell, 1999; Watkins, 2008). People often say they engage in rumination because they want to understand and solve their problems (Papageorgiou & Wells, 2003), but rumination is negatively related to problem solving (Hong, 2007). Indeed, rumination in the context of distress appears to interfere with good problem solving, and may immobilize individuals in indecision (Ward, Lyubomirsky, Sousa, & Nolen-Hoeksema, 2003). Although rumination has been most frequently studied in relation to depression and anxiety, it has recently been studied in relation to substance use and eating disorders (e.g., NolenHoeksema, Stice, Wade, & Bohon, 2007). Binge-drinking and binge eating may be attempts to escape from the aversive self-awareness maintained by rumination (Heatherton & Baumeister, 1991). Thus, three emotion-regulation strategies that have been widely theorized to be protective against psychopathology are reappraisal, problem solving, and acceptance. Three strategies that have consistently been argued to be risk factors for psychopathology are suppression (including both expressive suppression and thought suppression), avoidance (including both experiential avoidance and behavioral avoidance), and rumination. However, a direct comparison of the degree to which they relate to psychopathology is needed. Emotion dysregulation, in the form of rumination, avoidance, and difficulties with reappraisal, may show a weaker association with substance use and eating disorders because these relationships might be more complex. Several potential explanations come to mind. For example, the relationship between these strategies and substance and eating disorders might be moderated by reward sensitivity. 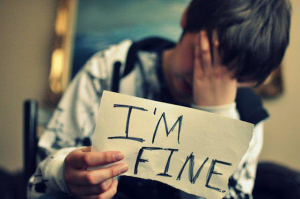 In this respect, individuals with these emotion-regulation difficulties who also are high on reward sensitivity may be more likely to turn to substances (alcohol, drugs, food) to ameliorate their unregulated distress, and thus, will be more prone to develop substance use disorders and/or eating disorders (Carver, Johnson, & Joormann, 2008). Evidence supporting this notion comes from studies showing that higher reward sensitivity is correlated with earlier age of onset of drinking alcohol in young adults (Pardo, Aguilar, Molinuevo, & Torrubia, 2007), alcohol use and abuse in non-clinical samples (Loxton & Dawe, 2001), with craving and positive affect responses in response to alcohol cues in young adult hazardous drinkers (Zisserson & Palfai, 2007). Similarly, some studies find that individuals with symptoms of binge eating or eating disorders show elevated levels of reward sensitivity (Davis, Strachan, & Berkson, 2004; Kane, Loxton, Staiger, & Dawe, 2004; Loxton & Dawe, 2001, 2007). Thus, people high in reward sensitivity may be drawn toward the reinforcing properties of substances, such as alcohol and/or palatable foods (Davis et al., 2004; Dawe & Loxton, 2004). 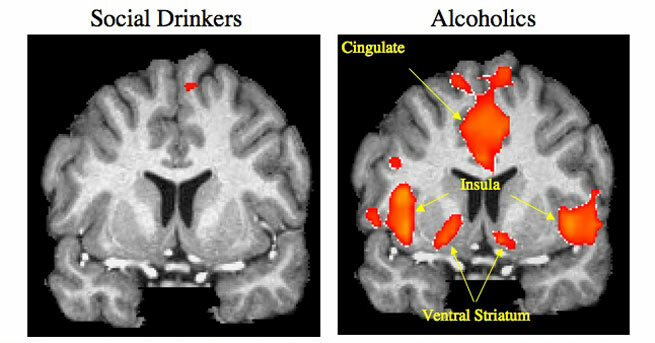 Emotional distress, which is chronically higher in people with emotion dysregulation, appears to potentiate reward systems in the brain (Brady & Sinha, 2005), and this potentiation may be even greater in individuals high in reward sensitivity, increasing the chances they will turn to alcohol or binge eating. Intake of alcohol or food will be reinforced both by the satisfaction of high appetitive drives and by the reduction of negative emotions these individuals otherwise cannot regulate. Thus, the combination of emotional dysregulation and high reward sensitivity should be a potent risk factor for the development and/or maintenance of substance abuse and eating disorders. We would add that in addictive behaviour not only does distress heighten reward sensitivity but it also prompts an impulsivity to act on changing how one feels, as soon as possible. This is underlying condition seems to be at the heart of addictive behaviours, a negative urgency to feel better soon, to “fix one’s feelings” by addictive behaviours rather than ruminate or obsess on these negative emotions. Distress seems to prompt the need to act to make oneself feel better or in other words to escape negative affect. Substance use or or compulsive behaviours become external regulators of negative emotion. This is why, when treating addictive behaviours, this is idea is at the forefront of treatment strategies.